Protein is a very important and basic nutrient of human body and is also important for the growth of the body. If you want to make your muscles strong then protein is the primary nutrient to perform this purpose. You can get protein from animal or from some vegetables. I personally like vegetables because vegetables also have many kinds of health benefits due to many vitamins it contains. So include Protein Rich Foods in your diet to perform your daily task actively and to maintain your heath. Egg is protein rich food; you can start your day by including eggs in your breakfast. Protein in 100 gram egg is about 13 grams. 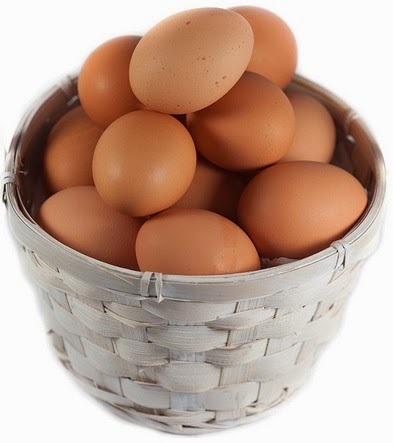 Egg Contains B6, B12, vitamin D and E vitamins, minerals, Iron and Zinc. Don’t leave yolk some people not like yolk but keep in mind that it is full of B12. Milk and yogurt both contain protein in decent dose. If you are vegetarian you should include milk and protein in your daily diet. You can use yogurt with vegetables and with any of your favorite dish. I would suggest you to use Greek yogurt which has much protein than other yogurt. If you want to intake milk without fats then buy skim milk which is available in market. 500 gram milk contains about 18 gram proteins. Fish is another food which is blessed by God with high amount of proteins. Also keep fish in your diet schedule because I has good amount of protein with very less fats. It keeps your cholesterol level normal. I will suggest you cold water fish because it has many other health benefits. Tuna, halibut and salmon are the few examples of cold water fish. 100 gram fish contains 26 gram proteins. I give No.1 rank to nuts and seeds because it has more protein than the other four foods which I listed here. You would also get protein in more quantity but you should conduct research because some nuts and seeds have less and some have more proteins in quantity. Like pumpkin seeds has more protein than mix nuts. Approximately 100 grams of nuts and seed contain 25-33 grams protein. Now come to vegetables, get some protein from it. Beans and Legumes are the cheapest foods in the list which I am sharing with you. You should also include Beans an Legumes even if you are not a vegetarian because with protein you can also get many other health benefits due to other nutrients it has like Calcium, Fiber and Iron as well as many kind of vitamins. I would suggest you to use dry roasted soybean because it contains 40% of protein in itself. Sprouts are also a good source of protein.